act on the first annual "Welcome to Jamrock" Reggae-themed Cruise, which is spearheaded by Damian"Jr. Gong" Marley. "The Far East Rulers," are thrilled by the unique opportunity to provide travellers from all over the world with their infectious brand of Dancehall entertainment. Moreover, Mighty Crown is honoured to be one of the few sound systems headlining the cruise, appearing alongside Reggae music heavyweights like The Marleys, Sean Paul, Shaggy, Morgan Heritage, Tarrus Riley and a host of other top tier acts. "This is a great career opportunity and history in the making," says Mighty Crown's manager, Garfield "Chin" Bourne of Irish and Chin. "Simply put, it means our hard work is paying off....we are honoured that Mighty Crown is one of the few sounds chosen to headline the Annual 'Welcome to Jamrock Cruise." The "Welcome to Jamrock Cruise" (sails from Miami, with stops in Montego Bay and Ocho Rios) Jamaica and offers Reggae music loving revellers five straight days of top level Reggae - themed events and entertainment, including exclusive concerts, day parties, soccer games, movie screenings and much more. Japan's juggling and clash kings Mighty Crown will afford cruisers an unforgettable, authentic sound system experience, as they rock the Main Stage of the Norwegian "Pearl" for two nights. 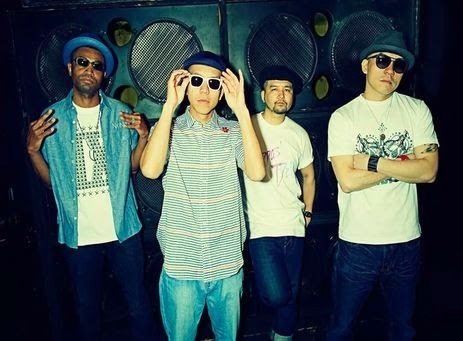 During their first performance on Monday, October 20, 2014, Mighty Crown will share the stage with Damian "Jr. Gong" Marley, Julian "Juju Royal" Marley and legendary selector David Rodigan. Meanwhile, on Thursday, October 23, The Far East Rulers will perform alongside phenomenal acts including Sean Paul, Baby Cham and Wayne Marshall.